Indonesia, a country with the fourth-largest population and abundant energy resources, is yet to fully optimize its potential. Especially, the high cost of logistics, missing links in the road network, and the unstable power supply undermine opportunities to revitalize economic activities. While there is a constant need for developing infrastructures, the country has struggled with tardy or unsuccessful land acquisitions. 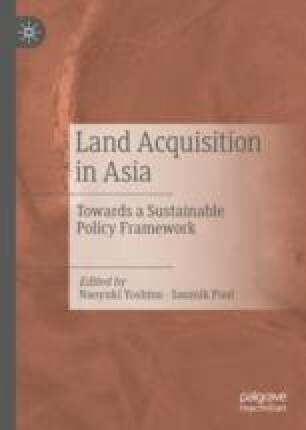 This research investigates the landowners’ decision-making in the land lease for infrastructure. The investigation of the determinants of leasing will provide insights into land planning and the negotiation process. We find that landlords are less willing to rent out their land if they self-cultivate the plots, if plots have been obtained through inheritance or have been owned for a longer period and if the land area is small particularly in the case of non-wetlands and plots located in their villages. Currently, the compensation is calculated based on the physical value of relinquished property. For the better facilitation of land acquisition for infrastructure projects, it would be advisable to take the above factors into account, as it would encourage landowners to accept the proposed compensation.